The perfect base to sample the Sussex countryside. 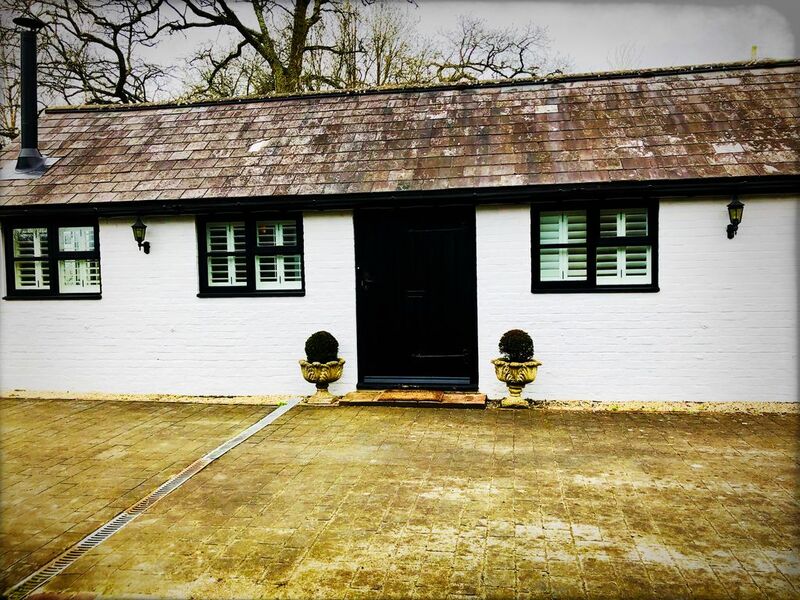 Our stunning single storey dairy built c1670, was converted into a cottage in 1989 and has been recently renovated in 2018 with wooden shutters and wood floors throughout; one double bedroom with fitted wardrobe, wet room style shower with built in bench, pull down sofa bed in conservatory, USB ports, WIFI, dining area, kitchen with all the mod cons (inc microwave, D/W and W/M), open plan living area with log burner. Outside, there’s a small private patio area with seating and BBQ if requested. It is the perfect base to sample the Sussex countryside, events, activities (cycle routes, rambling on South Downs Way, horse riding, jousting, shooting etc). The cottage would suit a couple (plus one baby/child). For children, Fishers Farm Park is a 10 minutes drive. A travel cot & high chair are also available on request. The cottage is on our non-working farm, but with a separate gated entrance and views out on to paddocks. One or two (depending on their size!) well behaved dogs are welcome and there are plenty of nice dog walks around. There is an extensive DVD/book library for guests’ use and plenty of board games and puzzles. We provide firewood for the log burner, fizz and breakfast goodies. During certain times of the year, use of an outdoor swimming pool and tennis court is possible by prior arrangement only. We can offer on request (with two weeks' notice) a picnic hamper or basic food pack for two people with local Sussex produce, table tennis, two mountain bikes and bicycle storage. Please ask for prices. We like to leave guests to themselves, but we have local area information and maps on hand and can recommend good shopping areas, galleries, beaches, pubs, restaurants etc. With plenty of notice, we are happy to try and help organise tickets to events at Goodwood, Cowdray and Hurtwood Park Polo clubs, Arundel castle, Fontwell racecourse, local vineyard tours etc. It is a few minutes drive to village pub, post office and the nearest train station (which is a 1hr 15mins direct train to London Victoria). There are many attractions within driving distance. My husband and I have stayed in many cottages during out 12+ trips to the UK but NONE as delightful as this one!! The owner thought of everything - roses, wine, and lots of goodies in the frig when we arrived and the entire cottage toasty warm. Great kitchen with granite counter tops, washer/dryer, dishwater and lots of kitchen tools for those of us who love cooking while in England. The cozy sitting room has a fire and an attached conservatory for warmer months. Our dog especially enjoyed watching for birds out the conservatory doors and running about in the field. We hated to leave and can't wait until we can return! Thank you again, Karina!! I am so glad you enjoyed your stay in the cottage. It was a such a pleasure to have you as guests - please do come again!